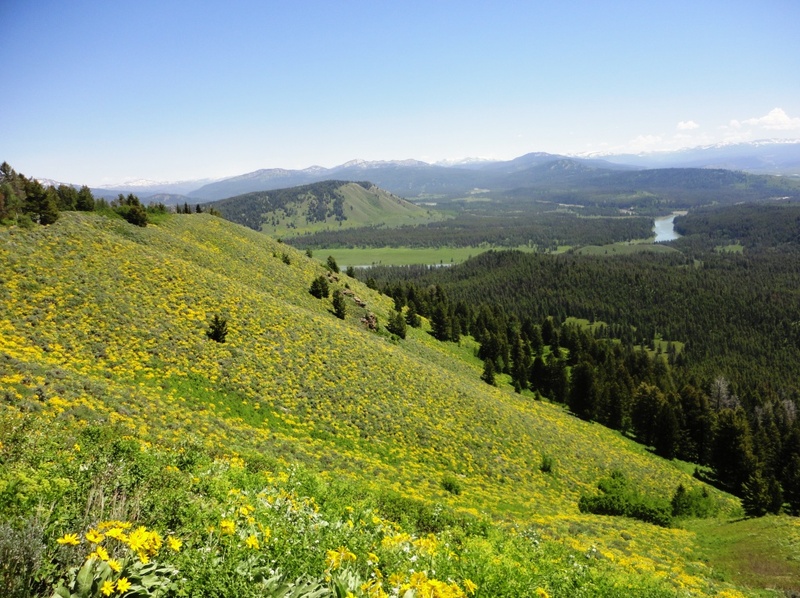 July 3, 2011 – It was the last day of our vacation and we were leaving Yellowstone National Park. We left the Old Faithful area and drove south, back through Grand Teton National Park towards Jackson, Wyoming. 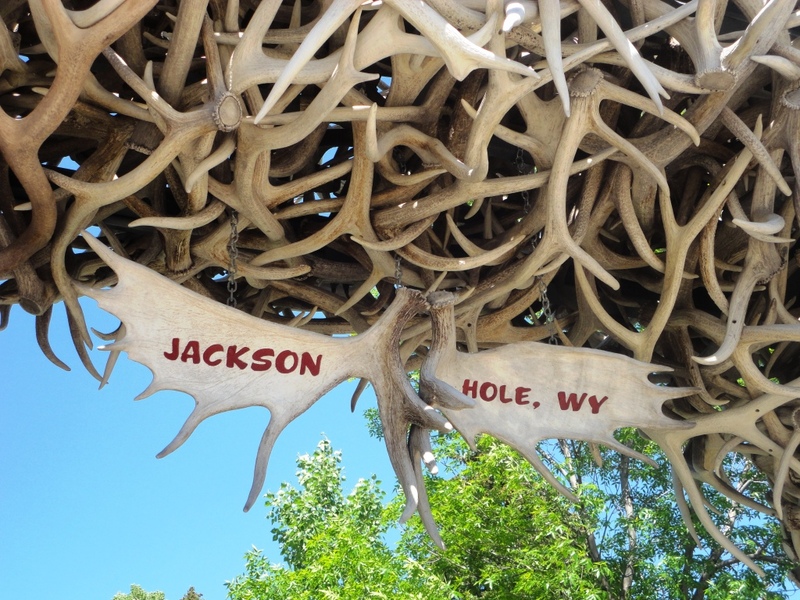 Our flight out of Jackson Hole Airport left early the next morning, so we decided to overnight in the western resort town of Jackson. 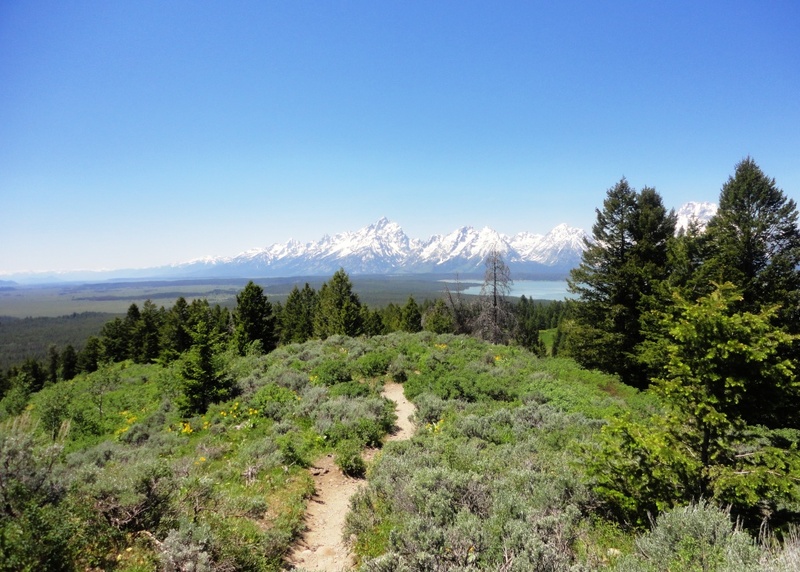 Along the way, we drove up Signal Mountain for gorgeous, sweeping views of Jackson Hole, the Snake River, and the Teton Range (see pics below). We arrived in Jackson and spent the afternoon walking around the historic downtown and browsing the many tourist shops. 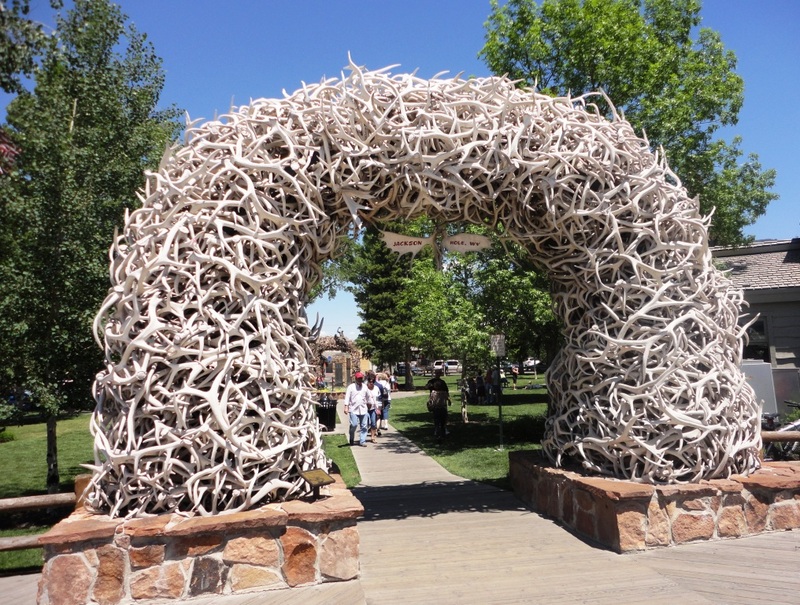 Like most visitors, we were drawn to the famed arches of shed elk antlers in the town square. 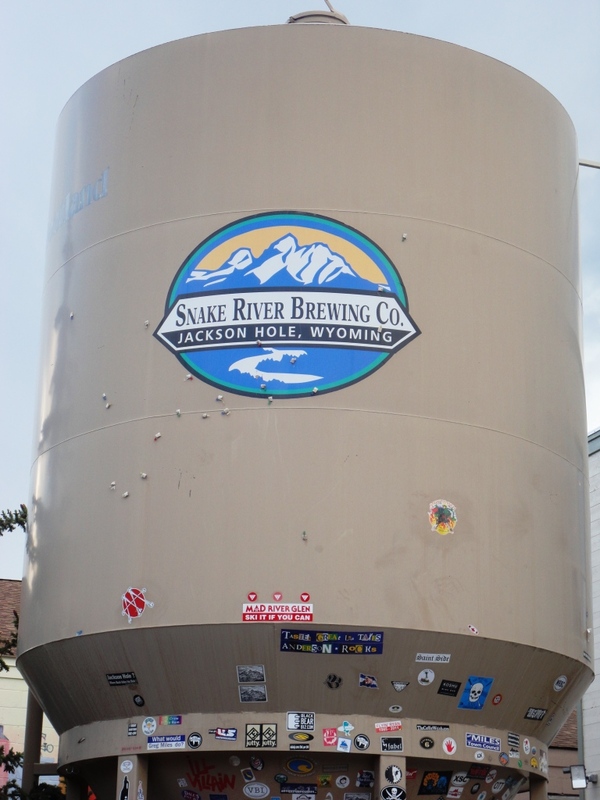 Firehole Steam, this California Common Lager-style is named after the Firehole River and the steam-producing thermal features of the greater Yellowstone basin. (5.2%). 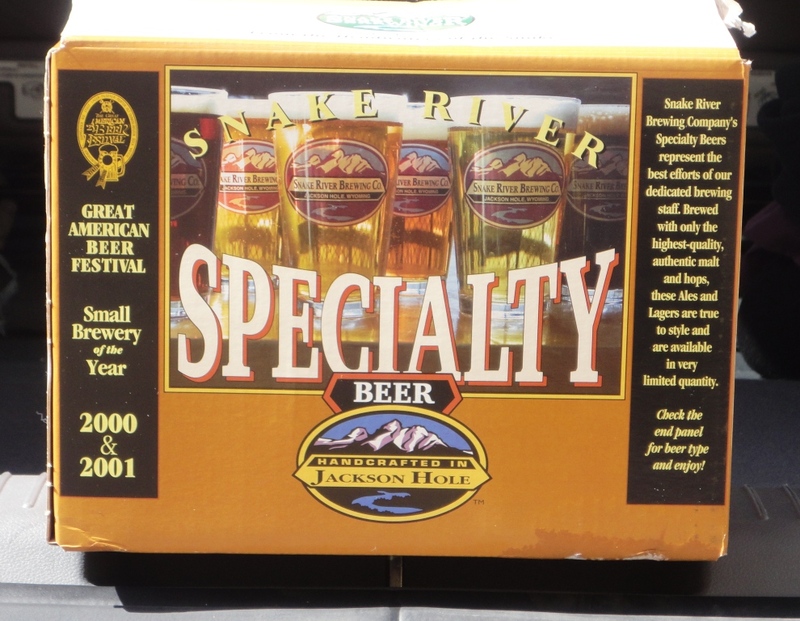 The first four beers on the list are included in the Snake River Variety 12-pack – I had grabbed one from the beer store earlier in our trip. 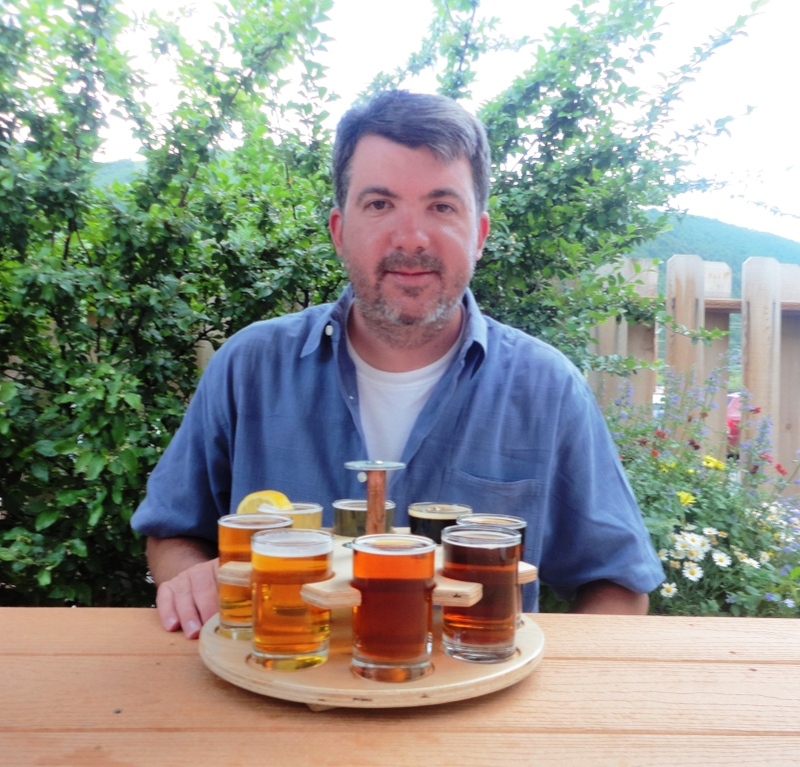 I also bought a 6-pack of cans of the Pakos IPA – the cans were perfect for my cramped cooler, and I loved the beer. Actually, we loved everything about Snake River. The brewpub offers awesome food, friendly service, and a cool vibe. Our dinner was especially memorable because it was our last night of our Yellowstone vacation. The next day, we would rise with the sun to board our early morning flight east to Denver, and then home to DC. Next: Yellowstone Trip 2011 wrap-up, including the best of the rest.